Manhattan College is a Lasallian educational institution founded in 1853. 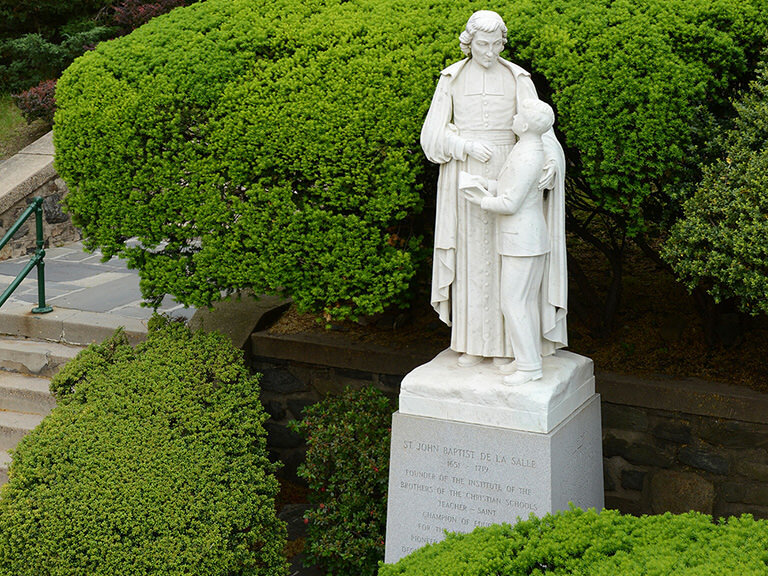 Being Lasallian is at the core of who we are and drives everything we do here both in and out of the classroom. But what does this really mean? Faith in the Presence of God: We believe in the living presence of God in our students, in our community and in our world. The College currently has a community of Christian Brothers supported by faculty and staff who help to integrate the Lasallian mission in the classroom and community. Respect for All People: We honor and respect the dignity of all individuals. Our mission of service on and off campus stems from the belief that all human beings deserve basic dignity. We eagerly explore new communities and different ways of thinking and being in order to cultivate a truly global perspective. We are diverse in backgrounds, interests, talents, beliefs and opinions — this is a place of lively exchange. Quality Education: We engage in quality education together as students, staff and faculty by thinking critically and examining our world in light of faith. We are constantly reviewing and revising our curriculum and teaching methods in order to provide students with the best possible educational experience. Inclusive Community: We celebrate diversity and welcome all members to our vibrant community. 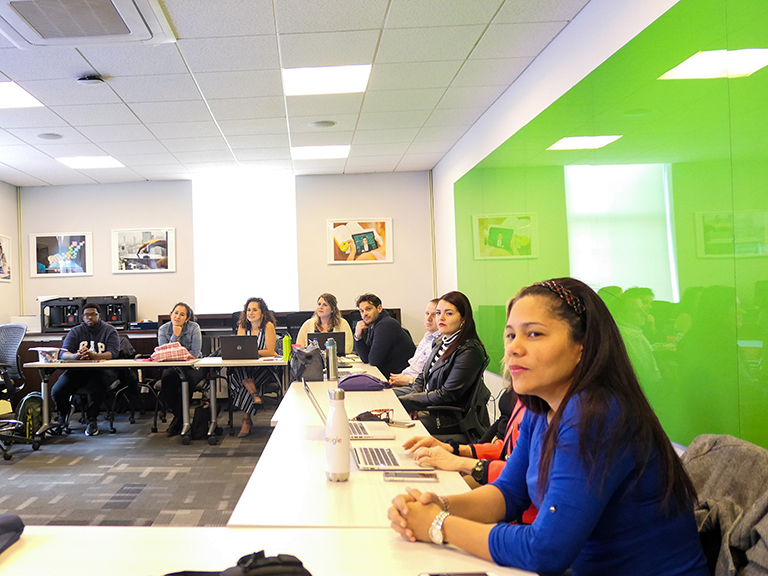 Manhattan College is passionately committed to policies of non-discrimination and we actively encourage an open-minded staff and student body. We’re committed to civil rights and freedom of expression for all people. Concern for the Poor and Social Justice: We are in solidarity with the poor and advocate for those suffering from injustices. Through Campus Ministry and Social Action (CMSA) we actively work toward improving the immediate conditions of those in need, as well as long-term strategies for creating a more just and equitable world. We are thinkers and doers. Who was De La Salle? Saint John Baptist de La Salle, the patron saint of teachers, is known as the innovator of modern pedagogy for his work establishing schools to educate disadvantaged children in 17th century France. De La Salle was a man who could have lived a comfortable life of relative ease among the wealthy elites of his time, had he chosen to do so. He came from a family of considerable wealth — his mother was a Moët, the well-off family that to this day operates the prestigious champagne business. He was an exquisitely educated man, a holder of a doctoral degree and an ordained priest in possession of a prime appointment, as canon of the Cathedral of Reims. Responding to a pressing need of his time, however, De La Salle found himself called to pour out his talents and his life serving others, specifically the children of the poor, who because of lack of access to education were condemned to lives of suffering and exploitation. Much to the dismay of his family and of those who believed that the work he adopted was beneath his dignity and station, De La Salle set himself on a course that would involve successive divestments of the trappings of his station and privilege. In the end, he became a poor man among the poor, living in the midst of the same uncertainties that constituted the daily lot of his pupils, and devoting himself utterly to the work to which he was called. That work, at its root, was ministering in love to his teachers (his Brothers) and their students, touching the minds and hearts of those students so that they might be led to a better, more abundant, more productive and more purposeful life. De La Salle’s commitment to education as a means to lift the disadvantaged out of a life of poverty has transformed the lives of generation after generation of students. It is upon this commitment to education, to generosity of spirit, and of the power of education to change lives, that we build our Lasallian community. Manhattan College students who attended Lasallian high schools discuss the personal impact of the Lasallian community and how it differs from other educational opportunities.